For people who are passionate about housing, a perfectly crafted bedroom continues to be a source of inspiration. 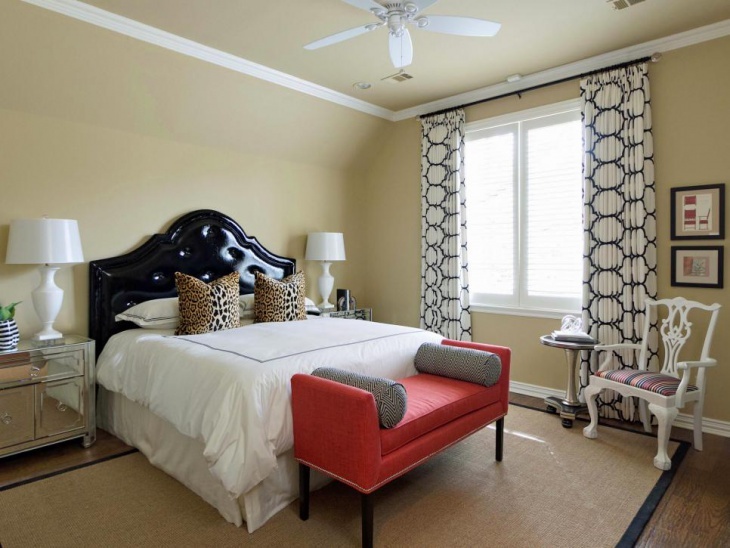 There are different trends of bedroom designs that people are experimenting with. 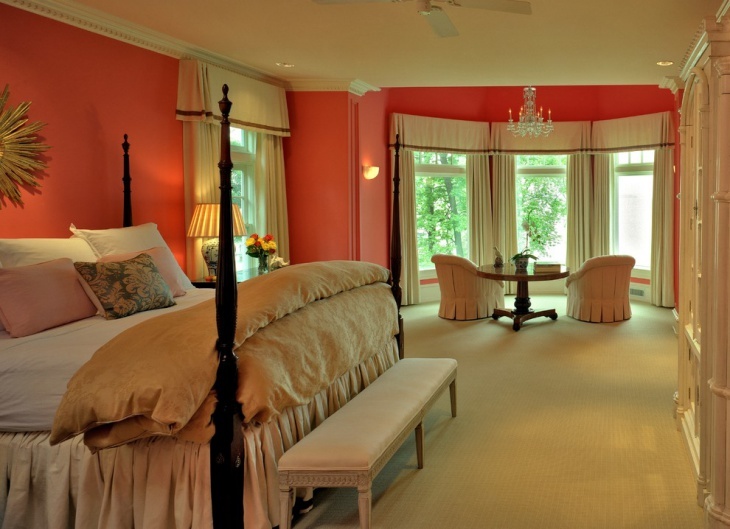 Among these, the coral bedroom design is often incorporated to get a soft and sophisticated look. These designs are really cool and gorgeous. There are various shades to choose from, along with other accessories that make the bedroom shine with elegance. 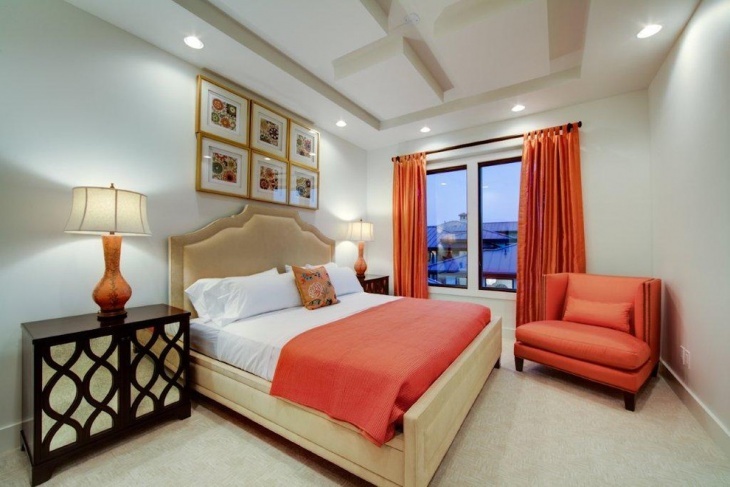 Here you will find ten master bedroom ideas based on coral themes. 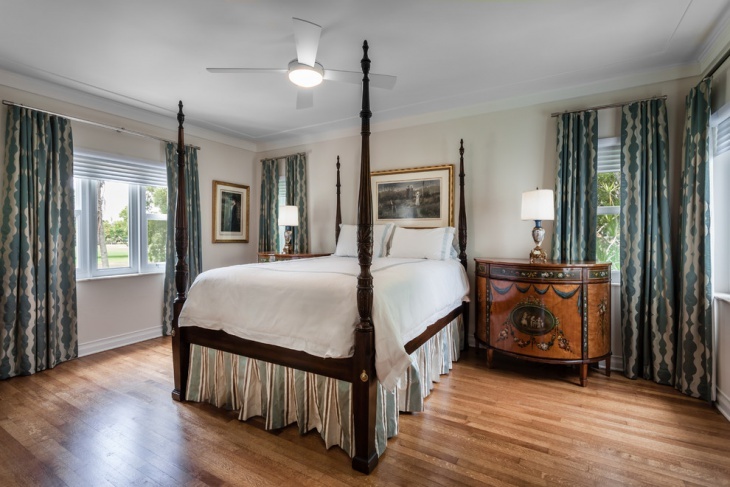 Guest bedrooms need a bright and graceful theme. 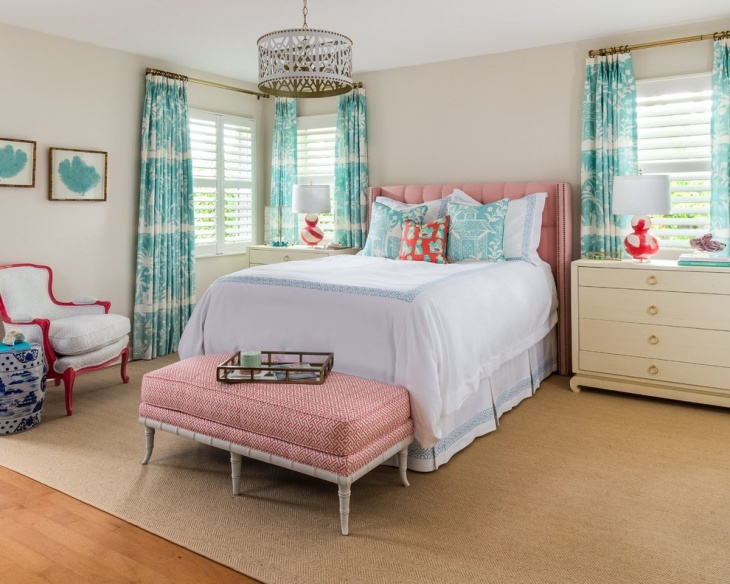 You can use this setting as a guest bedroom, and the coral art over the headpiece looks splendid. The red and white combination in the bedding accessories go well with the wall art. Get the same colour combination for the pillows on the chair to make a good match. People who love fashionable color combinations for the bedrooms will definitely find this Pink Bedroom Design right for their choice. The pinkish-red bedding accessories find the right match with light coloured walls in the room. The coral bedding goes well with bamboo furniture in the room. 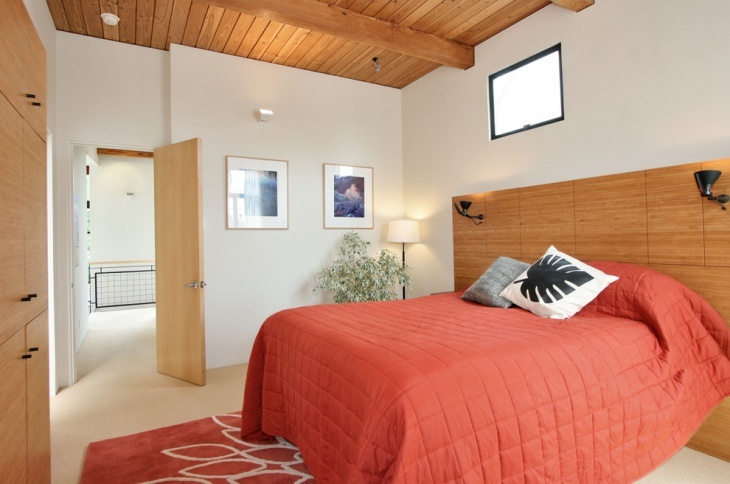 A Modern Bedroom based on a coral theme can be rightly set in a room with wooden ceilings and doors. Get peach coloured beddings to complement the looks of the bedroom. The peach color has a great match with the cream coloured walls. There are people who like to stick to the traditional coral bedroom ideas. 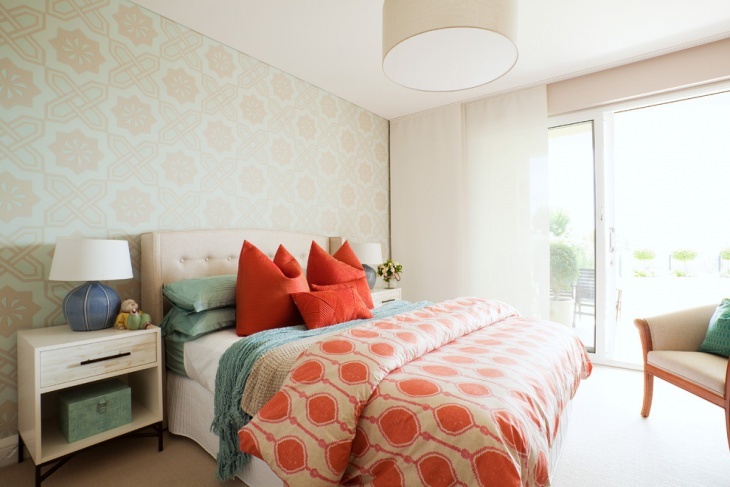 This is the ideal coral bedroom theme for them. There is limited furniture in the room. 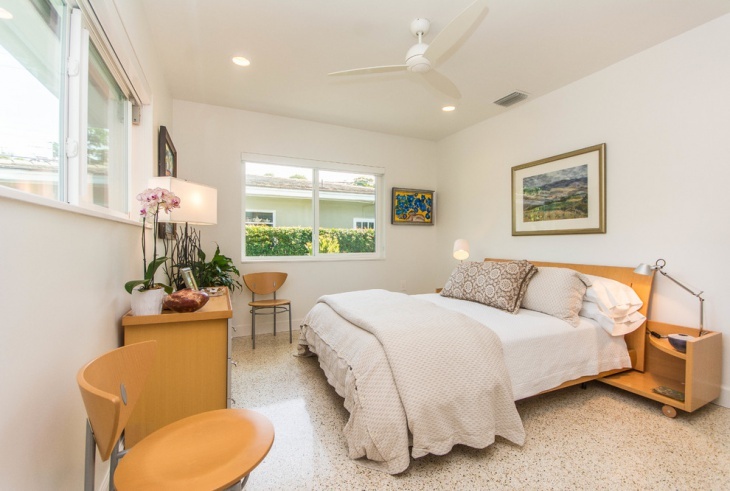 White walls and bed go well with the light brown furniture. The glass windows, square in shape, are ideal for this room. 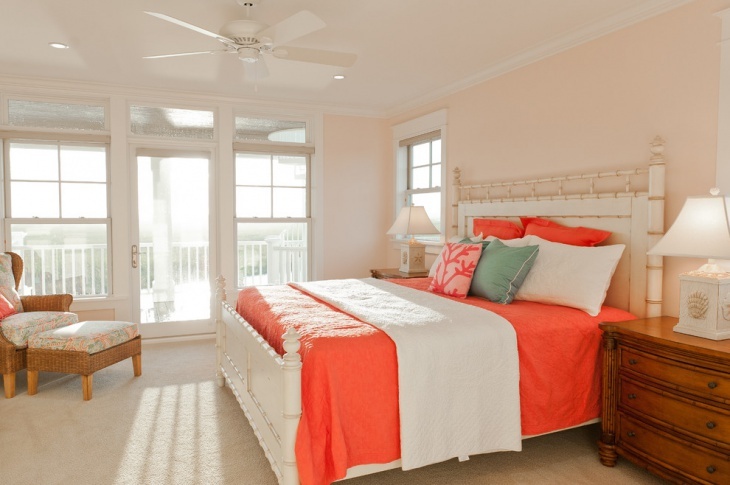 The beach style coral bedroom is a good variation of the coral bedroom themes. Here, light hardwood flooring and a lightly textured carpet make the flooring elegant. With a white bed cover, the reddish headpiece gets the right match. For further sophistication, get a circular fashionable ceiling light above the bed. 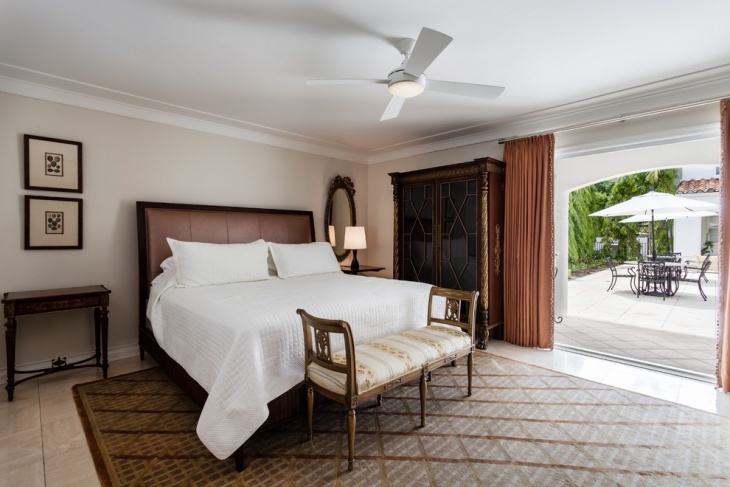 The latest trends of coral bedrooms include the use of mirrored furniture. 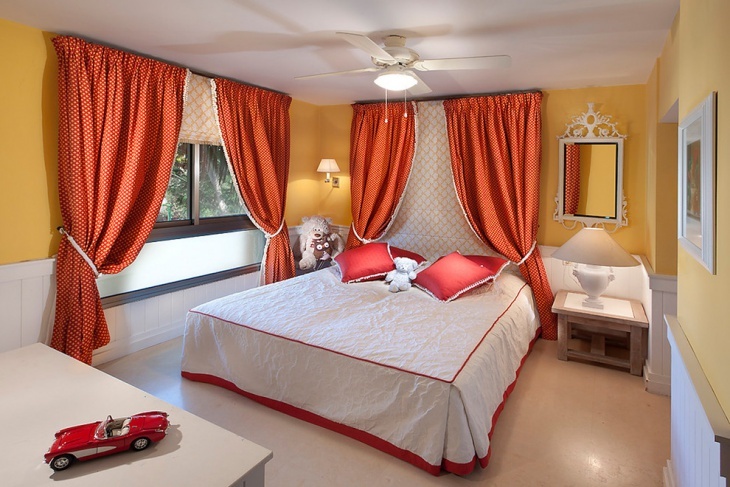 There are red curtains in the windows, and these go well with the coral drapes. Get some portraits with thin, light brown frames on the walls. A beige colored bed frame is ideal for the room. Tweens and young people have an inclination towards bright and vibrant colors. 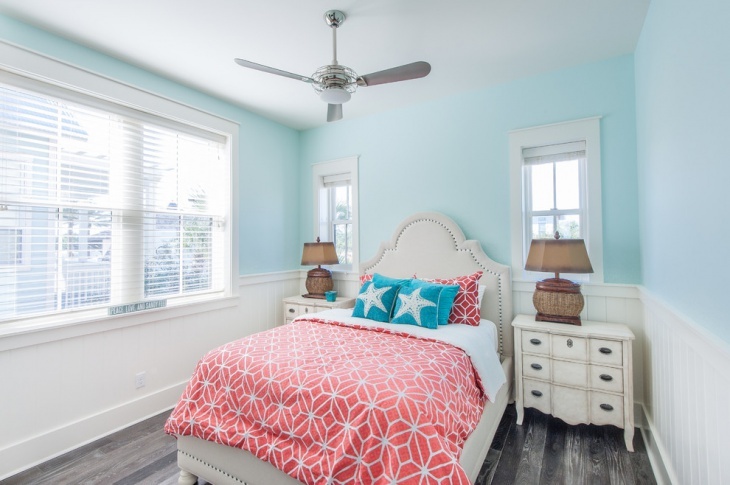 In this room, the red color on the walls has a great match with the aqua-blue curtains. Place a mini-chandelier on the table to yield great lighting for the room. 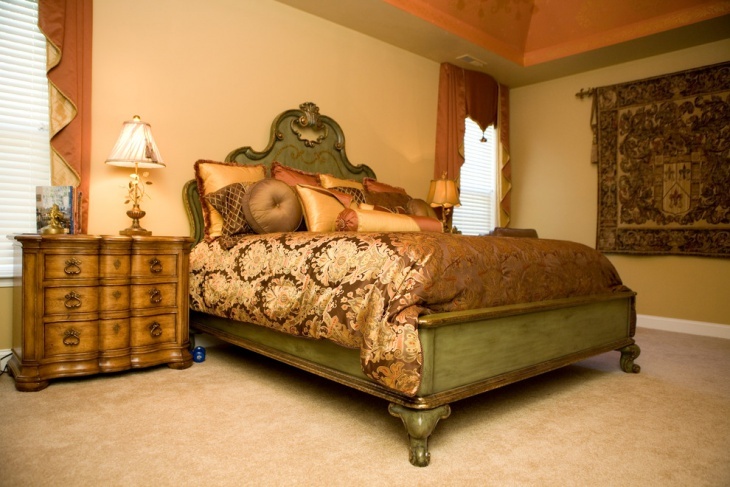 This particular coral bedroom theme has the right combination of beige and brown. The walls and ceiling look matching, in beige and white. There are dark brown curtains in the room. A leather headpiece and dark brown furniture make the room further sophisticated. A brown-based carpet makes the flooring elegant. 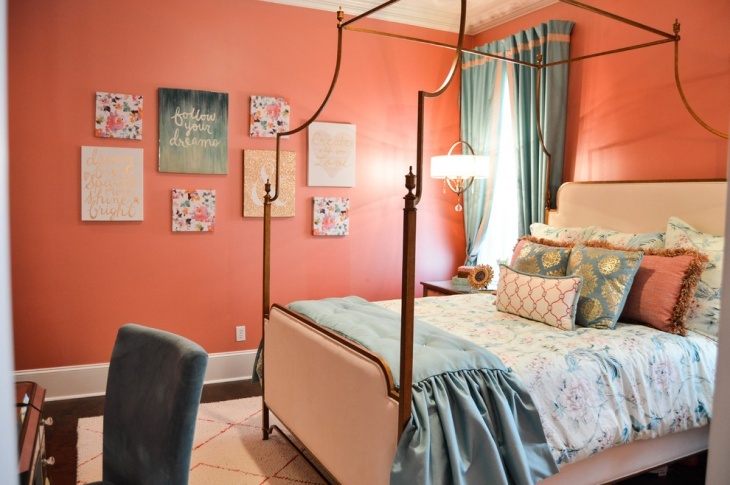 Artistic people find the right taste in coral bedroom design ideas. The right interplay of colors and lights makes the intrinsic beauty of corals alive. There is a huge scope of innovating coral bedroom ideas. You can always create new themes based on your aptitudes. Well, you may have your own ideas apart from these, so feel free to share them with us.